A couple was fatally burned after an improperly installed propane system spilled gas into their cabin and sparked a catastrophic fire. The couple had contracted with an installation company for a new propane hearth stove. A propane gas distributor was contracted to supply fuel for the stove and to install an exterior propane tank and exterior gas piping that would connect to the interior installation. It was not inspected to make sure it was installed properly. We represented their family, who wished the installation had been inspected because their parents would be alive today. Instead, their parents’ propane stove turned into a fatal fireball. This was a preventable tragedy that Oregon and national laws are clearly written that would have avoided just this kind of installation. The installation company did not obtain a building permit. There was no independent inspection of the system to assure quality and prevent gas leaks. The 19-year old employee of the installation company had not completed required safety testing, and did not have the required license from the Oregon State Fire Marshall. The propane gas distributor hooked up the propane system without the required inspection tag. The propane gas distributor did not conduct a pressure test on the system. Screws were not tightened on the kit that converted the stove from natural gas to propane, allowing propane to silently and invisibly leak from the stove onto the floor. There were several small leaks in the pipe fittings and connections. A Portland attorney referred the case to us and filed suit on behalf of the family. The case settled early in litigation for a combined total of $1.7 million. 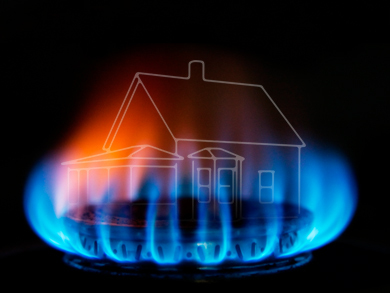 Consumer Beware: Remember that a propane system may be in compliance with applicable fire codes and standards, but, if the installation is not, the responsibility may fall on those who have violated a code-the contractor or consumer. Insurance companies may be reluctant to pay fire-related settlements if a code violation is discovered. This entry was posted in Cases, Unsafe Products, Wrongful Death. Bookmark the permalink.